Thanks! I have downloaded the project and am very excited about putting it into Live or should I say Life? 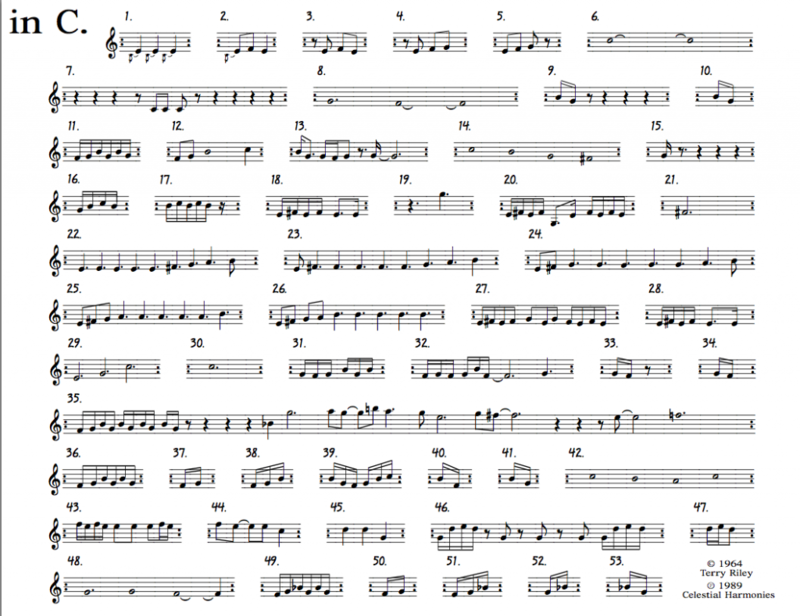 I had downloaded the oroginal score but just before I wanted to start programming all the clips myself I stumbled on JeePee’s post and then your site. Enjoy! It’s an awesome piece. Oh no, it doesn’t work on Live 8! Is there any way you can help me out? Can you save your Live 9 project in Live 8 format maybe? Unfortunately, live 9 projects are not backward compatible, and there is no export as feature or process in live 9 (that I know about). You could download the live 9 demo and see if you can export the clips between the two versions? Ok, I’ll try that. In case you made some follow action settings too I’ll just have to write them off. Thanks for answering Milton! There are follow actions, but they are fairly easy to implement, remember to have a higher chance of following on with the longer phrases than the shorter ones! I was just driving along listening to In C and thought “I should do this with follow actions in Live” then googled for the midi score and found this and now I’m done! Wow that was easy! Thanks! Ha! Enjoy. 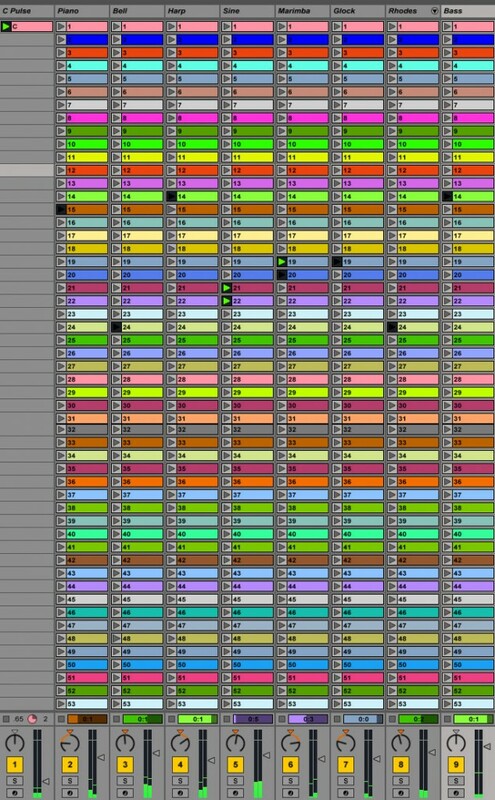 Yes it was like a seriously early Ableton beta release. This is great. I’m just getting back into experimental electronic music doing something else for 20 years, and I was JUST thinking of doing what you’ve done, so I searched out and found JeePee’s post and your comments. Thanks for doing this and I look forward to exploring it with my students. Glad you like it Jason and thanks For the recommendation! I had a great time playing with your while testing out some speakers in the lab, and recorded it. You might find it interesting https://www.youtube.com/watch?v=QqB6qHOt4VA Now I’m going to delve deeper into how you’ve organized the file to see if I can learn more. I have 6 speakers so I’m going to try to get it so that I can have each instrument to switch to a different speaker when a new loop triggers. Also, based on your idea of crowd sourcing, I’m going to see if I can get my students (this fall) to record their own sounds and loops, and then mash it all up with a video. I don’t have enough musical skills to actually do what you did, so thanks for the boost.